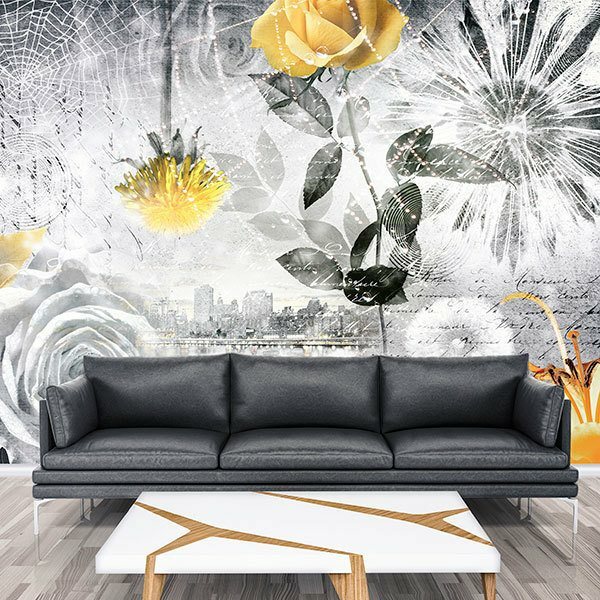 Wall mural Collage floral city. 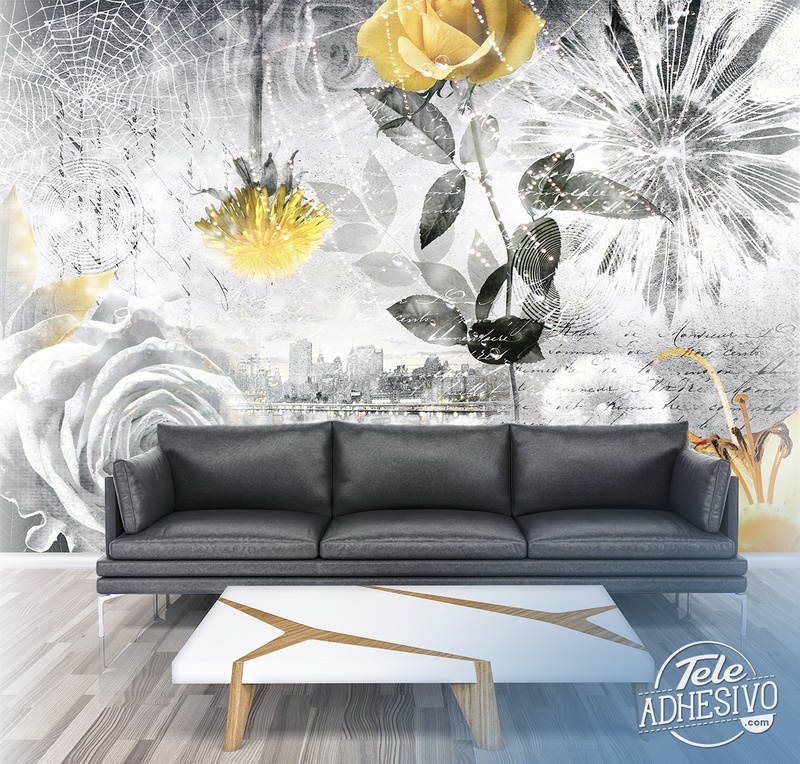 Original design of a black and white collage that combines with yellow to contrast. 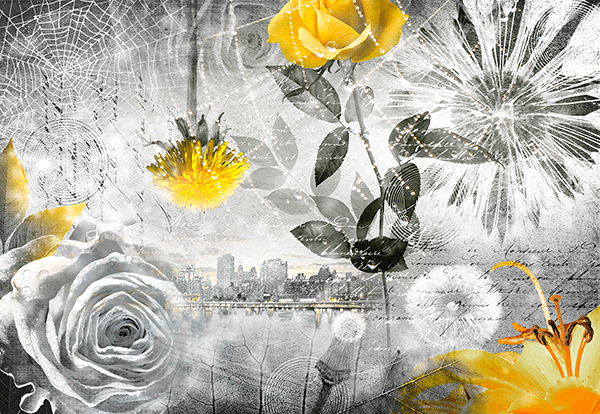 In black and white we see in the background the city of New York and delane appear several flowers, a spider's web and a letter. There are also several yellow flowers to contrast.